Sometimes companies and governments make the mistake of thinking that design is no big deal. They pressure designers to do things on the fly, or on the cheap, and they treat it less seriously than other aspects of business. But design mistakes, when they happen, can be devastating. An experience in the Bangkok bus system earlier this weeks demonstrated how big design mistakes can also be huge problems. They cost millions of dollars in lost time and money, generate negative publicity, and wind up harming people that should be helped. 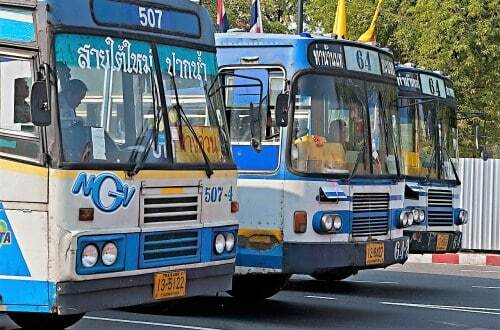 The Bangkok deputy governor has announced that City Hall will be spending up to one million baht to redesign bus route boards. Why? The existing bus route boards were in fonts so small that commuters could only read them with a magnifying glass. Commuters immediately protested the terrible signs, taking pictures and posting them on social media. The images soon went viral, showing passengers squatting and putting their faces close to the boards to read the route information. The major culprit seems to be the tiny font that makes it impossible for people to read. Now Bangkok deputy governor Chakkaphan Phewngam has come forward and pledged that the problems would be solved within three months. Designers will be tasked with making the fonts larger and more distinct, with the aim of helping people of any age figure out where they need to go. Public transit maps are notoriously hard to read. It has been suggested that the city consider using color to distinguish routes as well. Although the deputy governor is saying the redesign should cost about one million, skeptics think the cost could be higher. The city will replace a total of 50 boards. Chakkaphan acknowledged that there was bad PR as a result of the viral images. 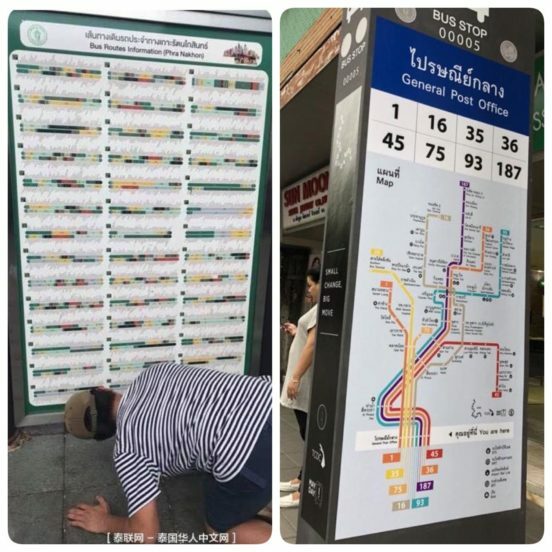 He even stated, “there will be no more need to use a magnifying glass and squat just to read the bus routes.” The 50 boards are currently spread out among seven key areas: Mo Chit-Saphan Khwai area, Victory Monument, Rattanakosin Island, Siam Square, Sukhumvit-On Nut, Sathon Road, and Wong Wian Yai-Phetkasem. 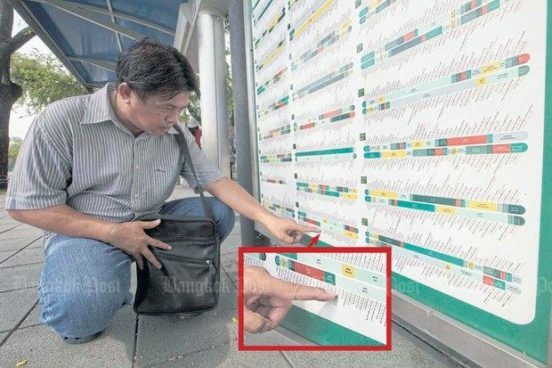 Although critics questioned how quickly it could be done, Chakkaphan said it would not be necessary to change the whole of the boards, pointing out that officials only need to replace the maps themselves with new ones. The Bangkok Metropolitan Administration will be required to put some money up for the redesign, since it is being blamed for not taking the design seriously. The Bangkok Metropolitan Administration had a two-year warranty with a board maker, but it has expired, according to Chakkaphan. Many private organizations and design firms have been offering city hall new design ideas. Although Chakkaphan welcomes the help, he also said “We would also welcome if they would help cover the expenses.” He also said the city will take this opportunity to modernize the boards by including QR codes, which passengers can scan for additional information. The Bangkok Metropolitan Administration is a state-owned bus operator in Bangkok, although some of its routes have co-buses owned privately. The buses are largely lauded for their efficient transportation.